Thousands and hundreds of thousands of votes were cast in one month’s time early this summer in Big Lots Lots2Give video contest. And though Miramonte Elementary School in South El Monte didn’t get the top prize, they still won big with a $2,500 cash prize for second place. Miramonte’s video, created and starring seven sixth-graders, showed viewers the school’s trouble with their sound system. Read the story here. Hopefully when students return in the fall, they will be able to update their old sound system that made it difficult to hear anyone at assemblies or school productions. 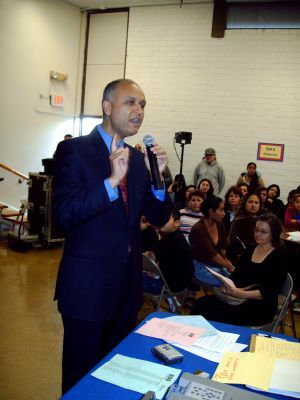 Miramonte is part of the Mountain View School District. 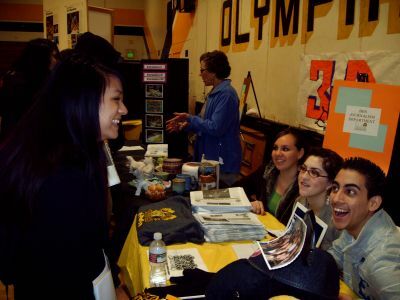 Along with Miramonte, twenty-five other schools across the United States will have some extra cash for class this year as part of the Lots2Give contest and winners of the 2009 Lots2Give video contest. 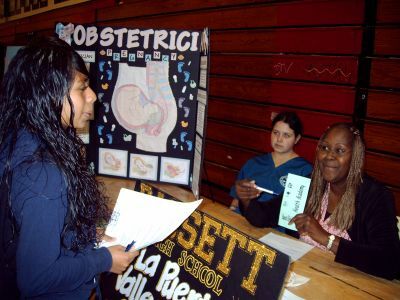 Out of 46 schools that took part in the contest, only 26 schools were chosen by online viewers to share $80,000 in cash prizes. Big Lots asked participating schools to submit a short video and brief essay explaining why their school is in need of financial support. From mid-June to mid-July, the public voted for their favorite video at www.lots2give.com. More than 300,000 votes were cast. In addition to the video contest, Big Lots established an in-store donation program to help the 103 schools participating in the Lots2Give program. From May 2 through July 12, Big Lots customers were invited to make $1 or $5 donations at participating Big Lots stores, with 100 percent of donations going directly to participating schools. This initiative raised more than $74,000 to help participating schools. To continue to give back, Big Lots stores across the country will host an in-store Teacher Appreciation Day on Saturday, Aug. 1. ll educators with a valid school identification card will receive 10 percent off their total purchase. Miramonte Elementary school will be presented with a check for their second place prize on Monday, Aug. 3 at 1 p.m. at the Big Lots store at 11130 Washington Blvd. in Whittier. For more information and a complete list of winners, visit www.lots2give.com for a complete list of winners. The Norwood Library in El Monte will offer a free workshop on how to apply for college from 6 to 7:30 p.m. on Tuesday, Sept. 30. Workshop speaker Wenli Jen, Ed.M., educational consultant and college counselor will touch on various subjects of the application process. Relevant books will also be available for check out. Light refreshments will be offered, courtesy of the Friends of Norwood Library. The library is located at 4550 N. Peck Road, El Monte. For more information, call John D. Ho at (626) 443-3147. 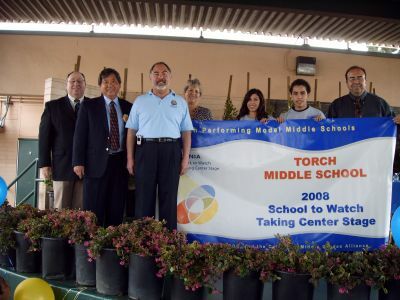 Torch Middle School received a special recognition on Friday, March 14, and a banner to hang in front of the school, from the California League of Middle Schools for becoming one of only three schools in California to achieve 2008 “California Schools to Watch” status. “The incredible teachers here and the students are doing an outstanding job and truly are deserving of this unique award,” Howard said. He added that representatives of other schools will continue to view Torch as a model in an attempt to pattern their own teaching practices after Torch. The Sallie Mae Fund ‘Paying for College’ Bus Tour will be making a stop at two La Puente schools on Friday, March 7, to educate students and families about planning and paying for college. The bus will stop at Sparks Middle School in La Puente to offer eighth-graders a 45-minute in-school workshop on college planning. From there, the bus will stop at La Puente High School for two in-school workshops for freshman and sophomores, and juniors and seniors. A $250 scholarship will be rewarded to one participating junior or senior at La Puente High. Sallie Mae Fund’s goal is to increase access to higher education for all of America’s students – in particular lower-income and minorities. For more information, visit www.salliemaefund.org .